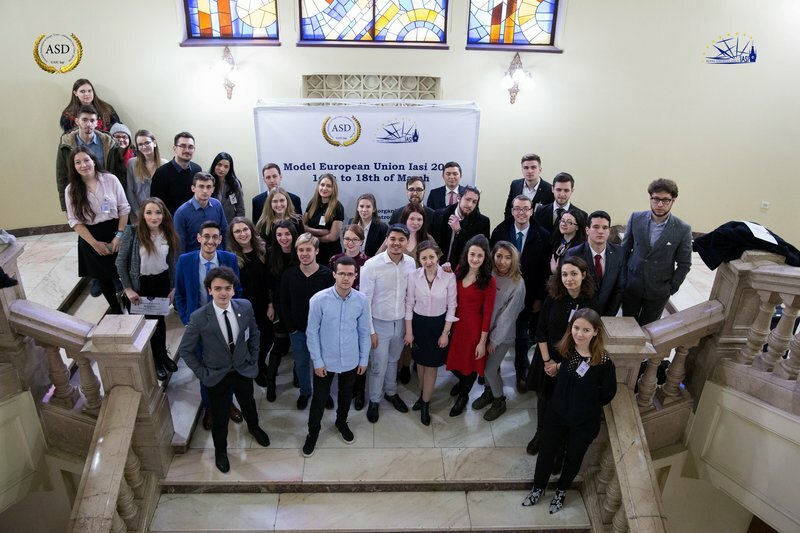 The second edition Model European Union Iasi took place in the vice-chancellorship of the Alexandru Ioan Cuza University of Iasi, Romania. This 2nd edition of MEU Iasi brought together a great number of participants who discussed the Establishment of the European Public Prosecutor Office and the Contracts of the supply of digital content. Georgiana, one of the organizers told us that after a friend introduced her to the MEU Universe she felt the need to bring that joy to others, in her words: “I fancied to do more for young people, who are just like me, but who did not discover yet their passion for debates, for public speaking, for European values and for negotiations or conflict resolutions”. We also talked to Bianca who played the role of a Belgian MEP and asked her what skills she gained from participating in a MEU event to which she answered that she had the chance to improve her public speaking and debating skills, “things that I have always been afraid to do. Expressing my ideas in front of other people had never been my specialty, but I wholeheartedly believe that I made a huge progress during the days spent in MEU Iasi”. 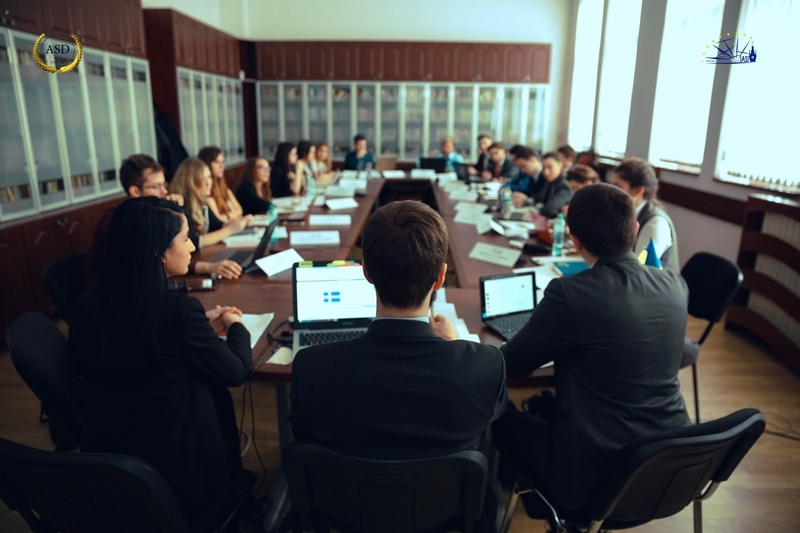 Dumitru is already experienced in MEU events, he has participated in MEU Warsaw, MEU Strasbourg and MEU Belgrade but it was this year in MEU Iasi that he got to be a chairperson for the first time. Dumitru describes is experience as “unique” since it was the first time he participated in a simulation in his home country, Romania, and he adds “I also found the enthusiasm of the participants and the eagerness to learn quite unique”. Georgiana attributes the success of this year’s edition to every single person who was a part of it and made it a great memory from the organizing team, to the coordinators, the volunteers and of course the “passionate participants”. When asked about the three words that would best describe her experience as an organizer Georgiana chose the words “Crazy”, “Exhausting” and “Love”. Dumitru who played the role of the President of the Council of the European Union told us that his biggest challenge was to overcome his emotions during the first few moments of the debates since it was his first time and in a humorous way added that “The funniest part of playing my role was to receive a note of apology every time a delegate was late to the session. Some of them were quite interesting”. Bianca finalized by telling us what MEU Iasi represented to her and in her words “MEU Iasi means to me an occasion to meet special, respectful and intelligent people, with great ideas and minds, with voices which will be heard soon”. Finally we would like to thank all the organisers and participants who took a bit of their time to share and answer our questions so promptly and enthusiastically. We hope that this edition’s feature of MEU Iasi has motivated you all to start taking part in MEU Conferences actively or to continuing to do so.